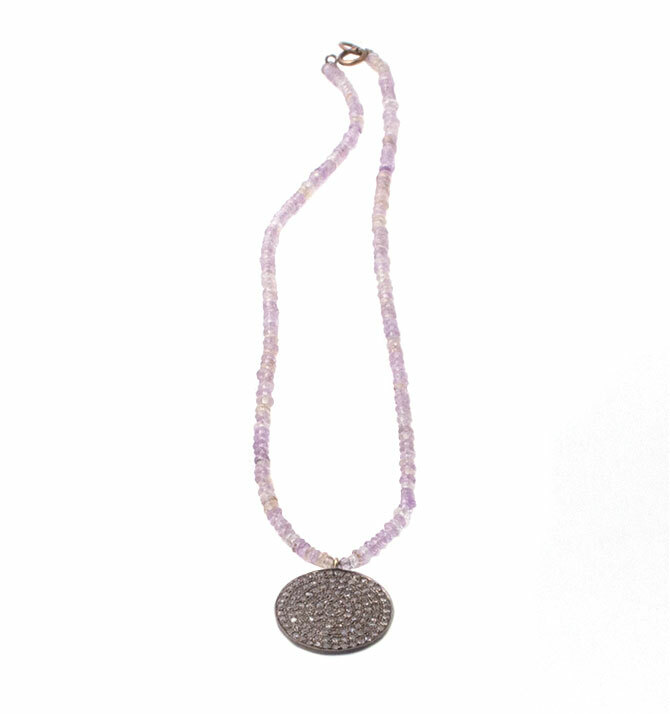 Pave diamond disc on 15″ long amethyst necklace. Get the latest on new products, events + more! Copyright © 2018 Gris Designs. All rights reserved.